From an iRing to an iTV mini and now the screen size and pricing of the actual product itself. 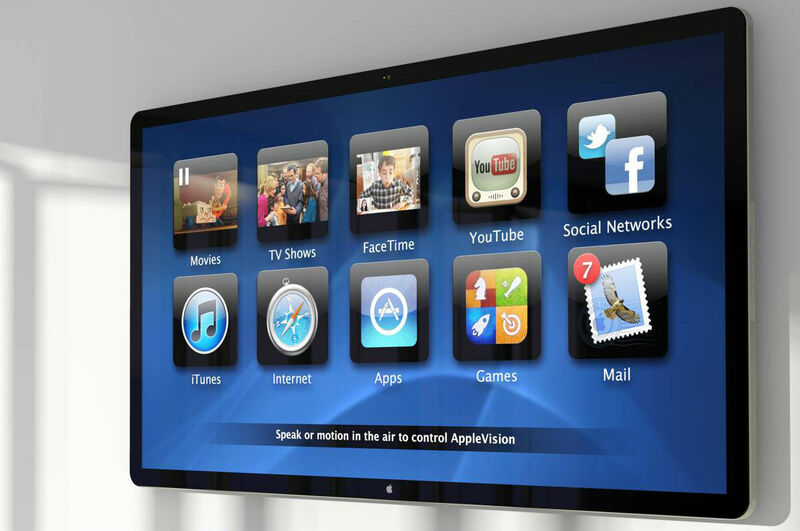 The whirlwind that is iTV rumors continues with speculation from an analyst that Apple will be coming to market this year with a 60-inch model priced between $1,500 and $2,500. The research comes from Brian White of Topeka Capital, an analyst with the firm who has been following the iTV story. In a research note he released Wednesday, he posits that the iTV will have a 60-inch display, but that 50- and 55-inch models are also a possibility. White also suggested that Apple was developing a ring to act as the iTV’s remote control and that an “iTV mini” was being created to potentially enabled wireless streaming from the TV directly to a Mac or iOS device. None of this has been confirmed, and Apple doesn’t comment on products that are coming through its pipeline. Still, the suggested price point of $1,500 to $2,500 for the 60-inch model isn’t really any different than what flat-panels are selling for now from other manufacturers. Of course, not every 60-inch TV is made equal, but that price range is still $1,000 wide, which could mean anything in the grander scheme. In other words, it’s an easy range to pounce on because the market is already there anyway. It’s like saying that an Apple-centric smart watch would cost between $100 to $250. Smart watches are already in that price range, generally, so it stands to reason that any watch Apple supposedly makes might just be in that ballpark. In a low-margin business like flat-panels, the more interesting analysis would’ve been to ascertain how the company would make more money through features and services offered on the iTV. We’ve already got an idea of that from the Apple TV box, but what would the iTV bring to the table (or living room, for that matter) that would remake television as we know it today? It’s just a guess, but when the late Steve Jobs told his biographer, Walter Isaacson, that he had “cracked” the mystery of reinventing the TV experience, the price range was probably not at the top of his mind. Rumors will keep flying about what this phantom iTV will be and what it will do, but it’s not hard to take a stab in the dark at how much the thing might cost whenever it ultimately materializes.